The idea for these Cat in the Hat self portraits came from What the Teacher Wants. we made scratch art pictures. icing, cookies and fruit rollups. After reading The Foot Books we traced our feet and measured how many cubes long they were. 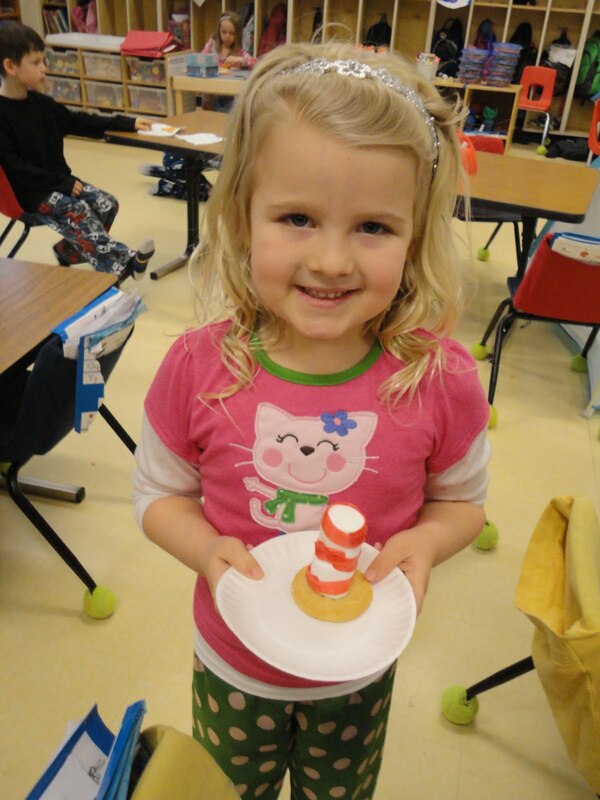 We made the cat in the hat portraits today. Thanks for the idea!